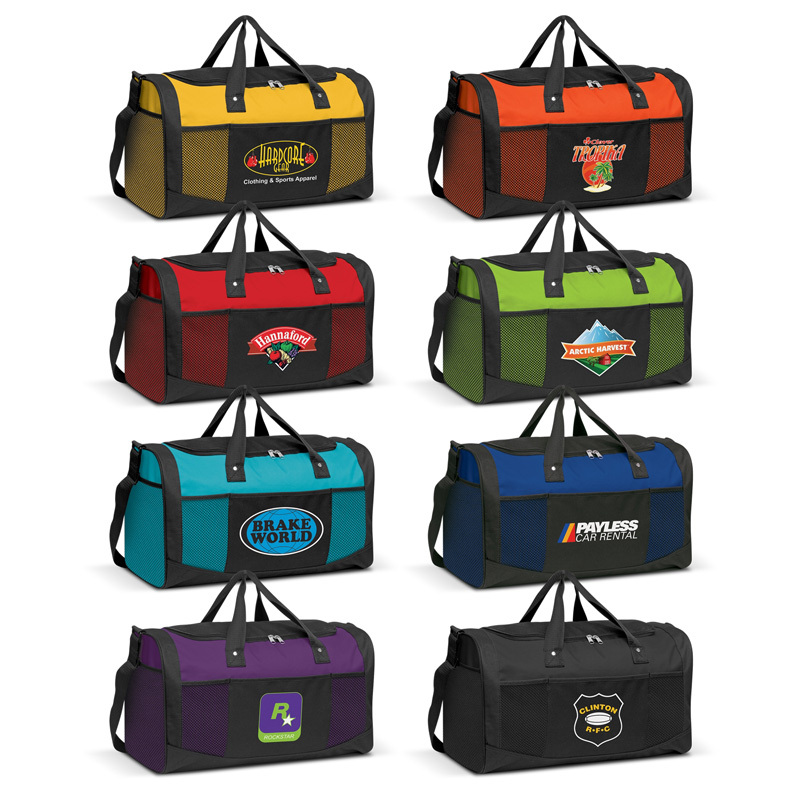 If you’re somehow involved with the sports and fitness industries – such as working as a personal trainer, a supplements supplier or even if you sponsor a local sports team – promotional sports bags can be great for your marketing campaign. 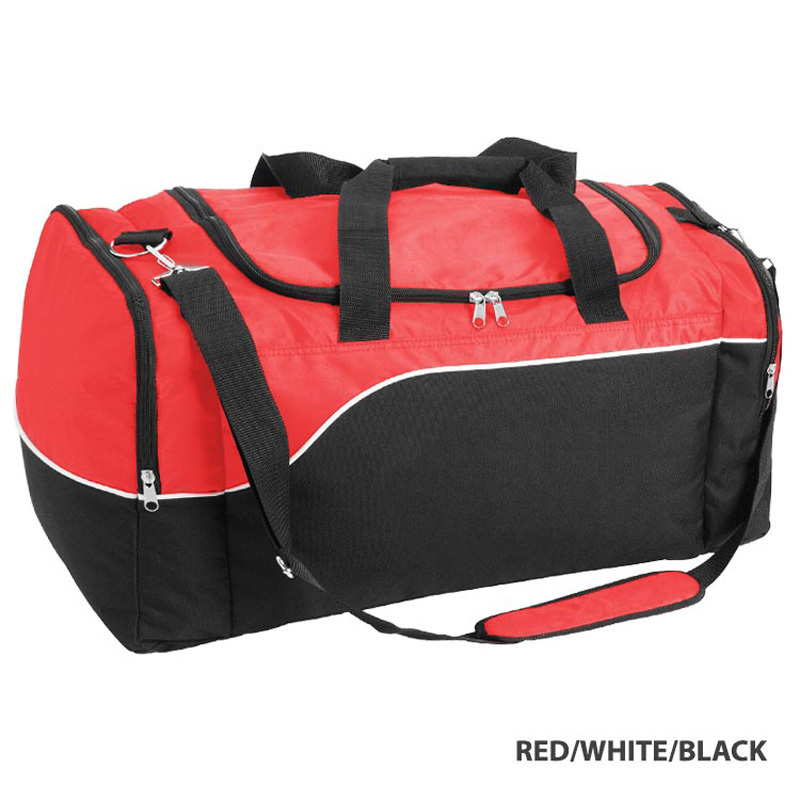 More and more people are seeing the value in getting fit and living a healthier lifestyle, which includes hitting the gym on a regular basis – these sorts of bags are the sort of thing they will appreciate. 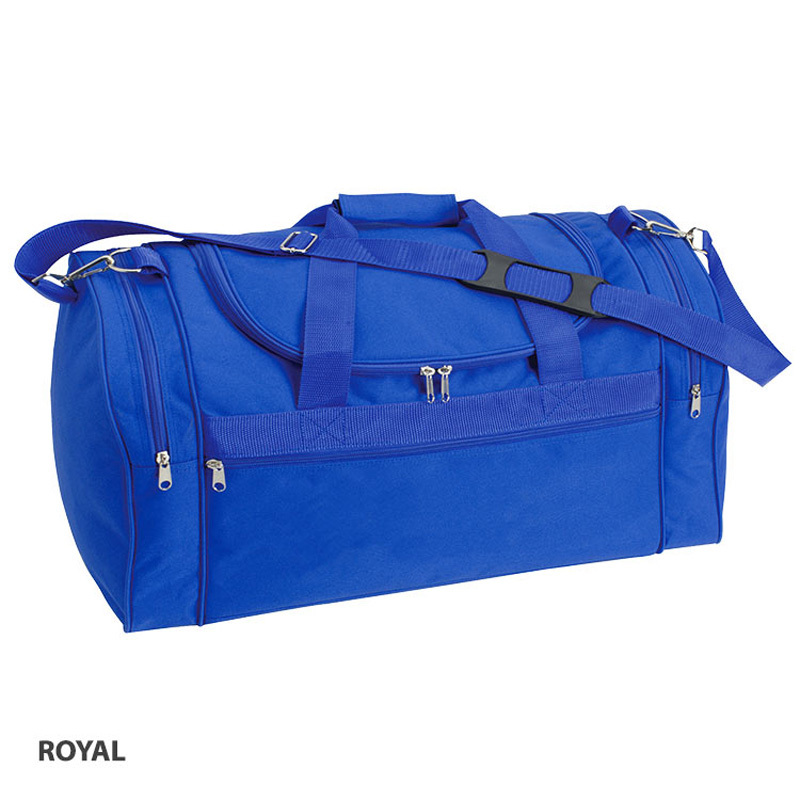 Polyester with PVC Back Coating 600D/300D. 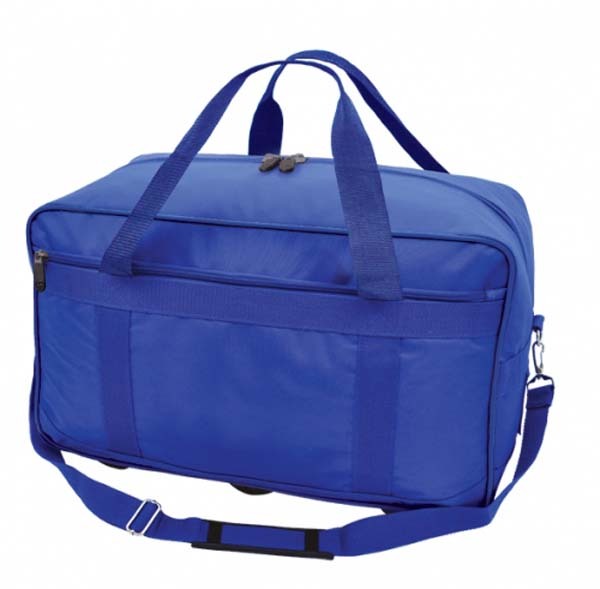 Large U shaped double zippered compartment. 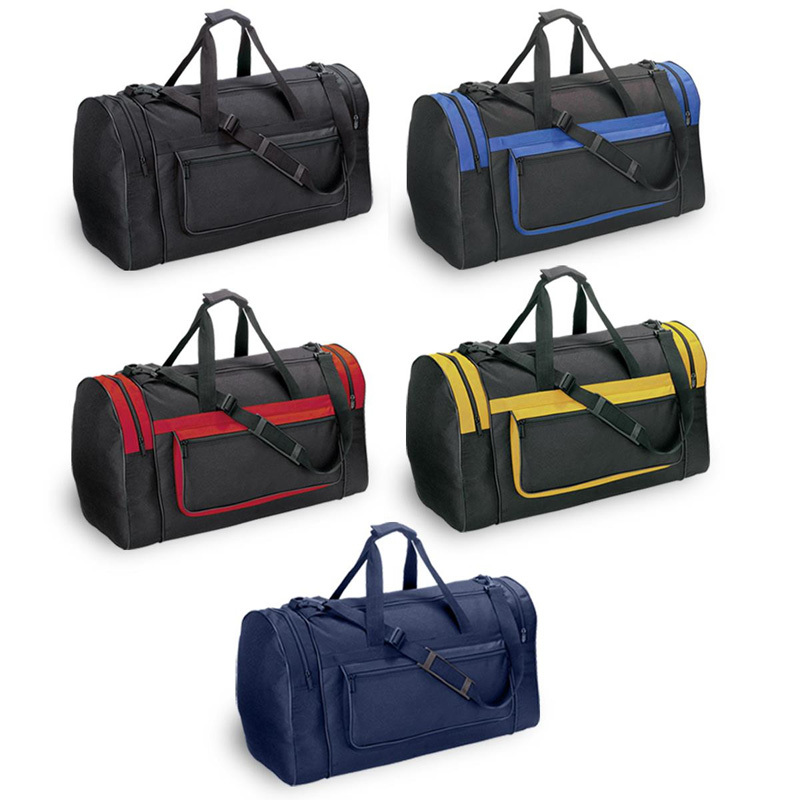 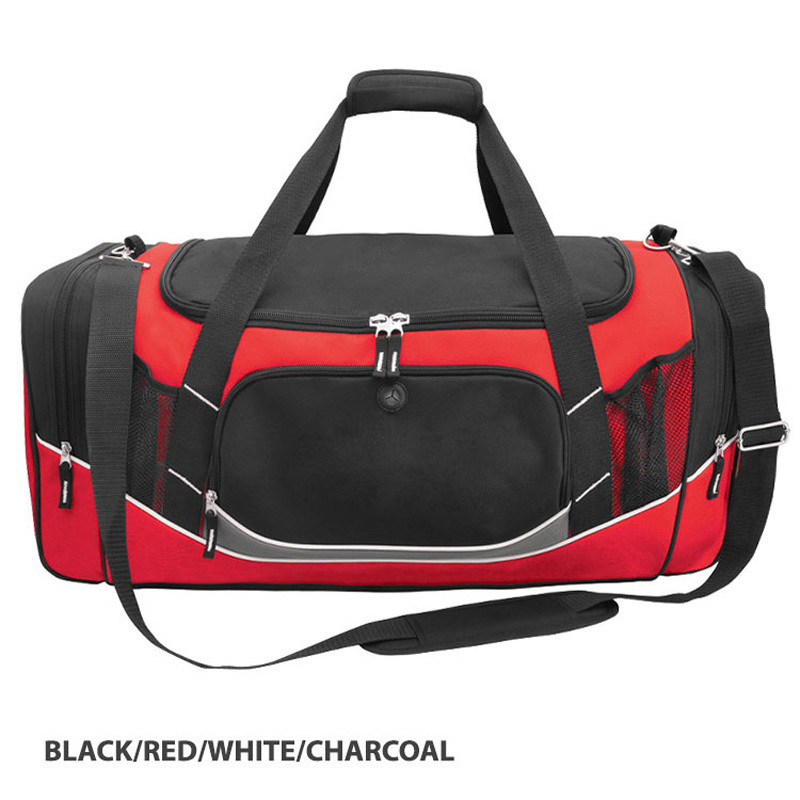 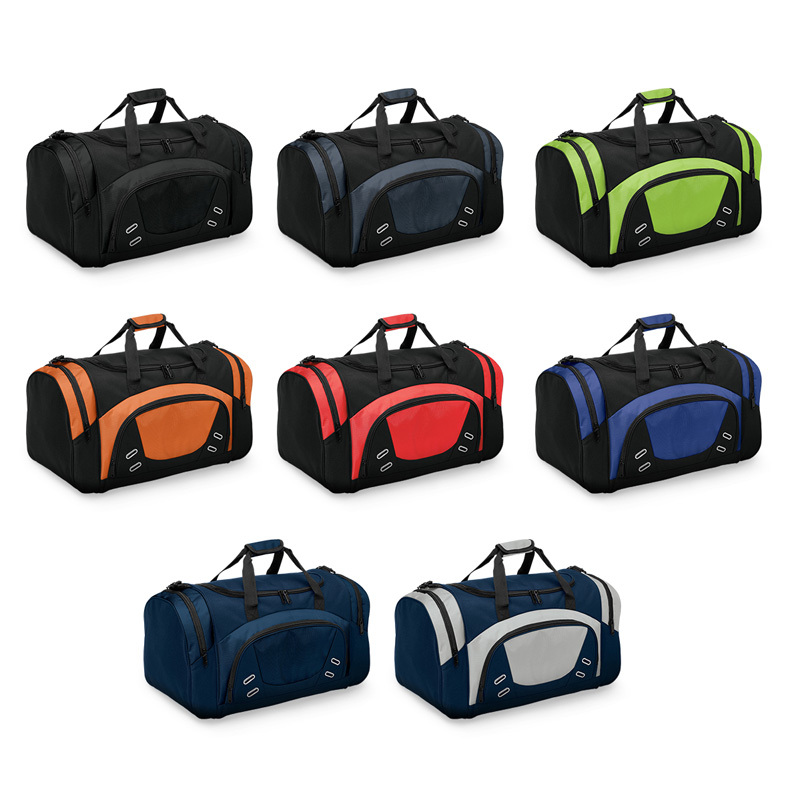 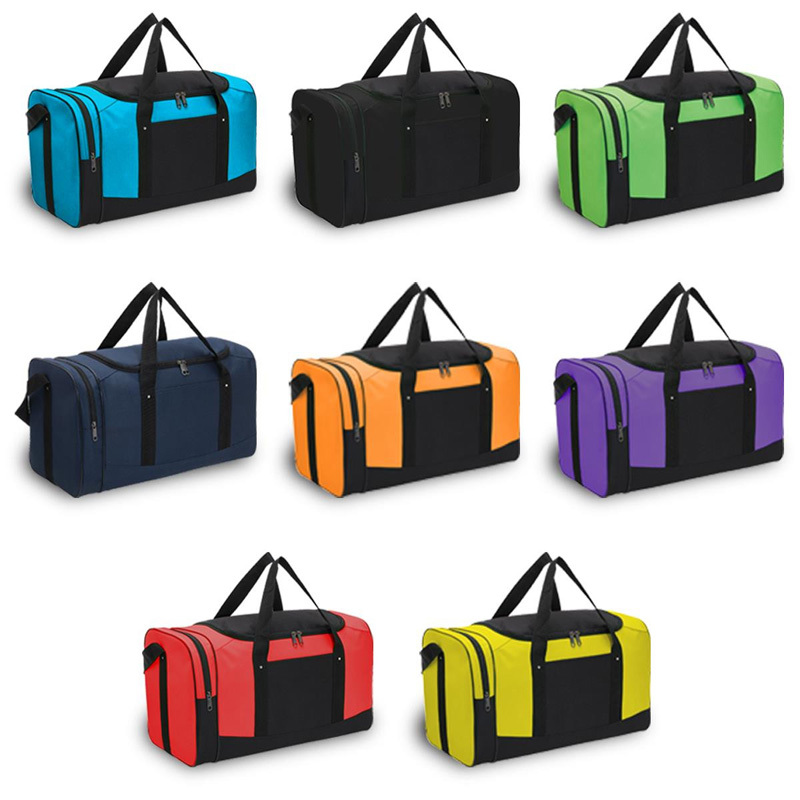 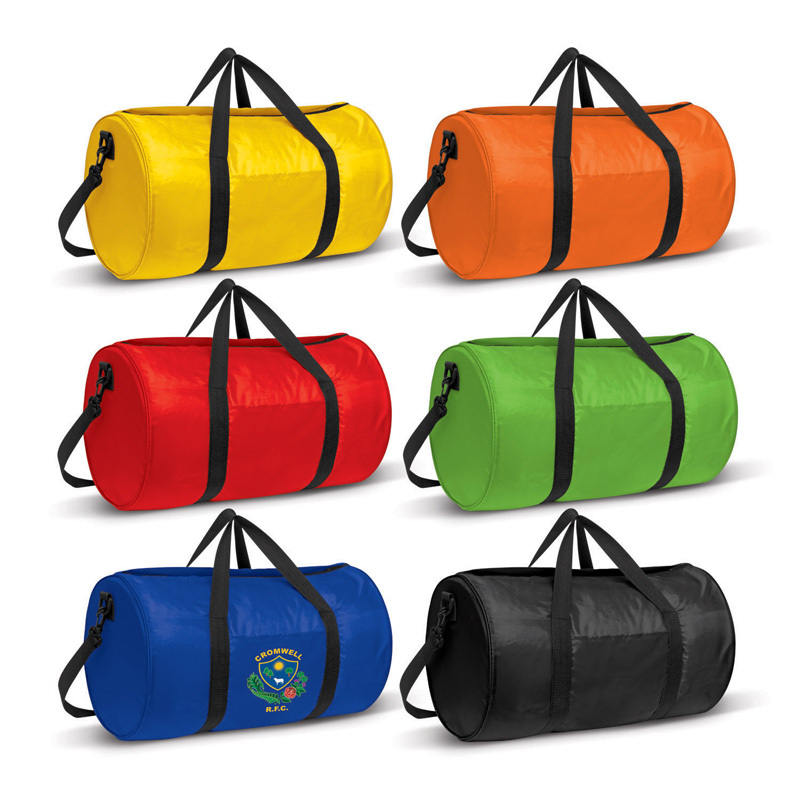 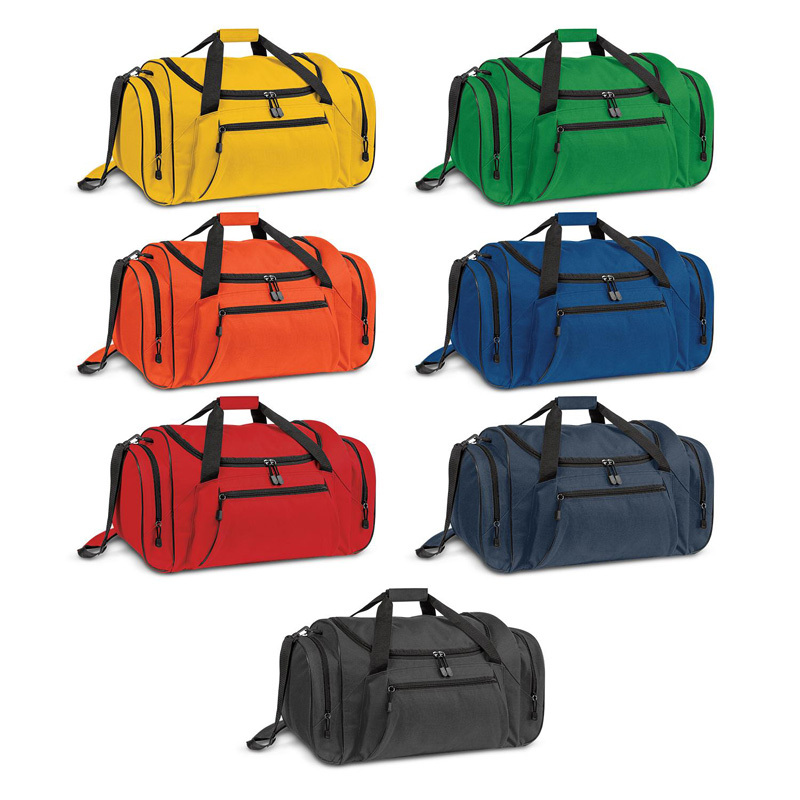 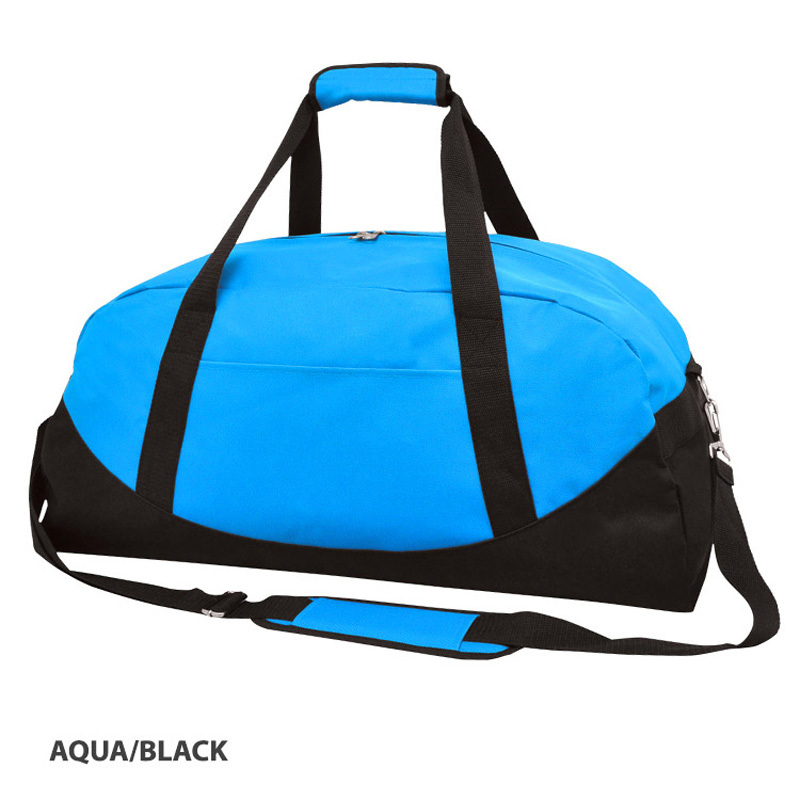 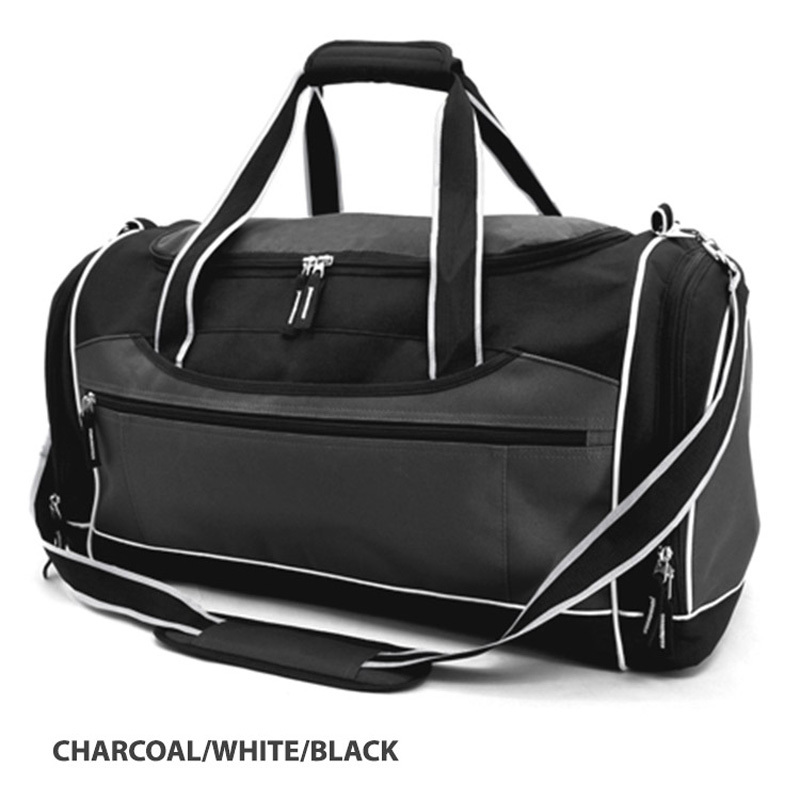 We have an extensive range of custom sports bags to choose from, ensuring that you’re able to find a perfect match for your business and clients. 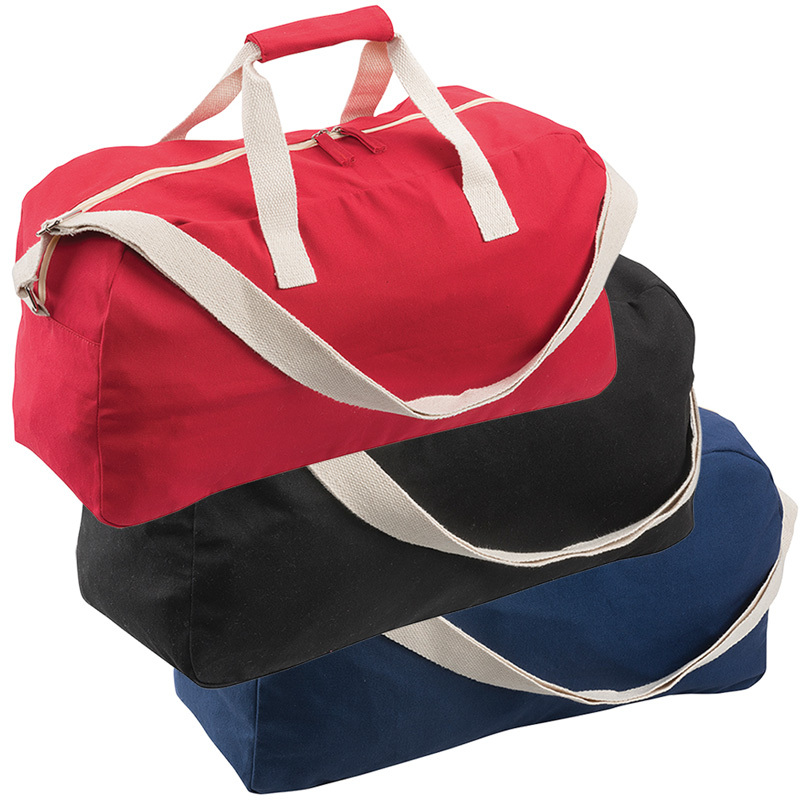 We have drawstring, overnight, rolling, travel and weekender to name a few. 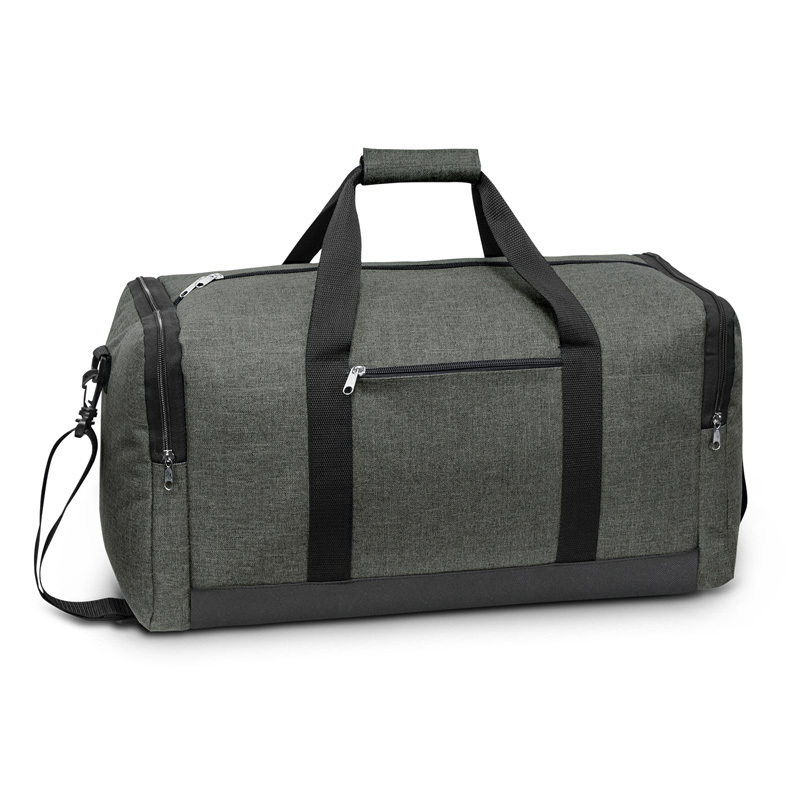 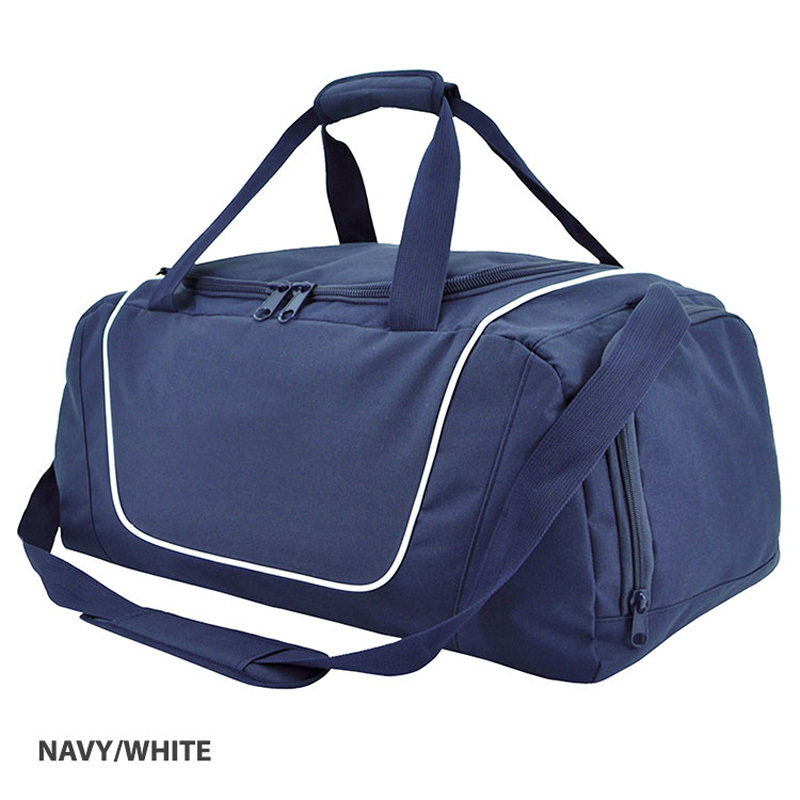 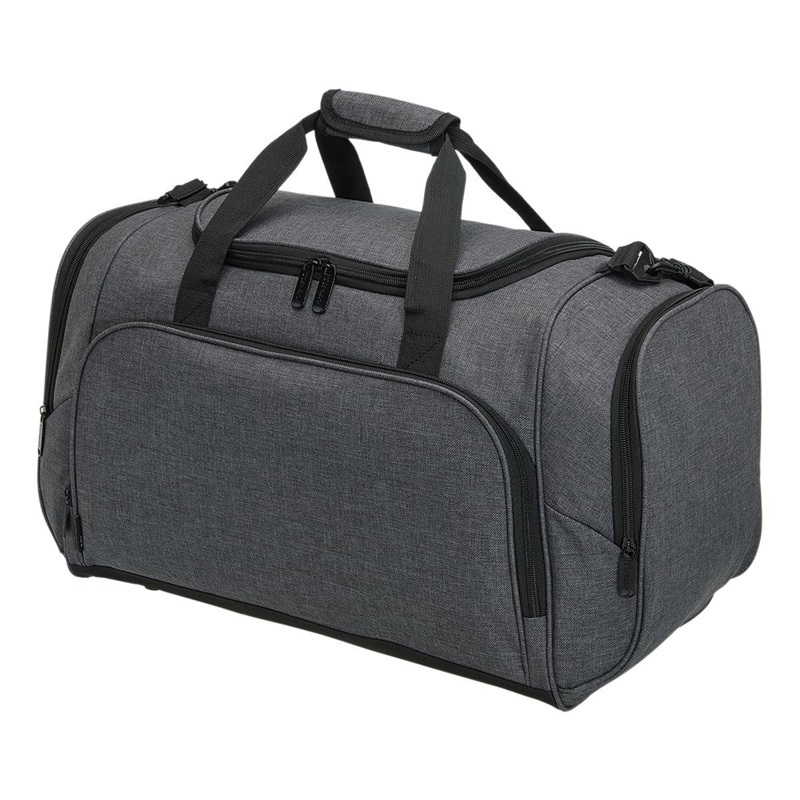 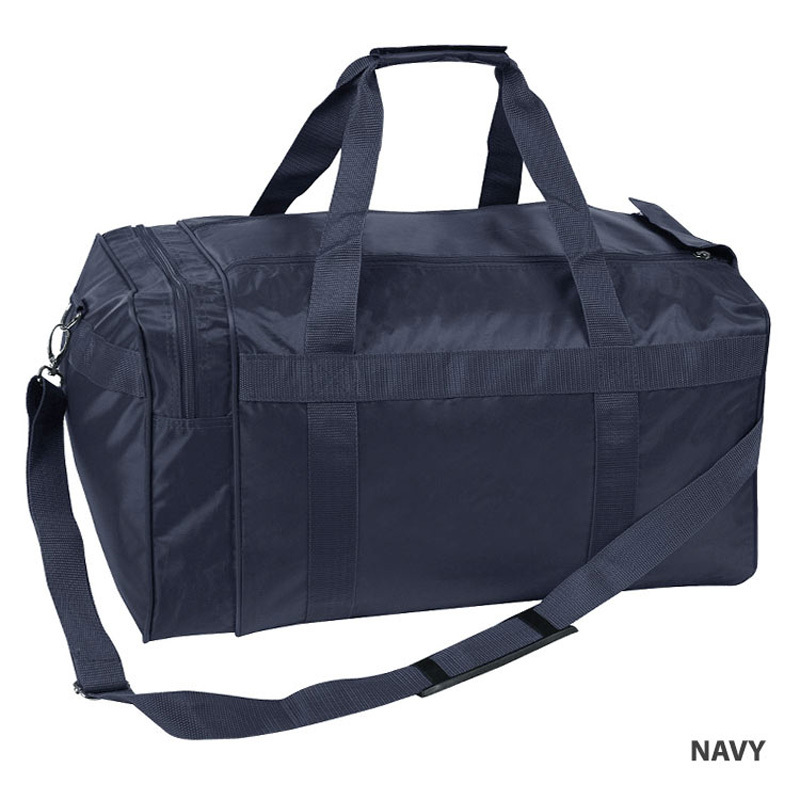 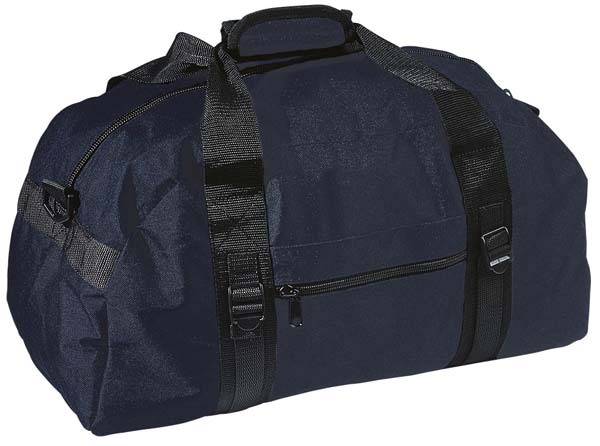 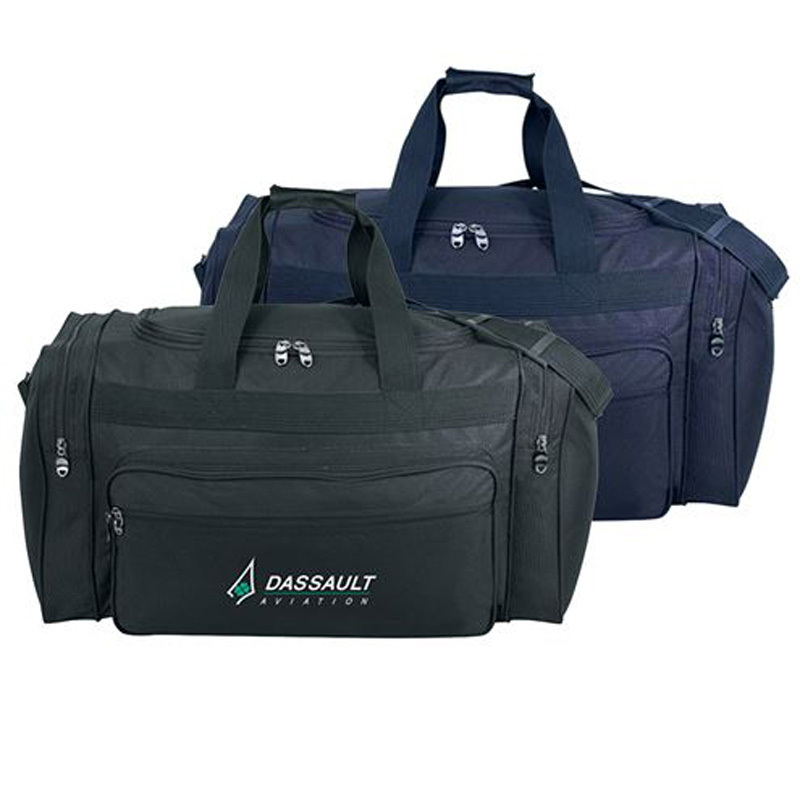 We understand that these bags are likely to receive a bit of a beating, from being tossed into the boot of a car to being crammed into a locker, which is why they are made from only the highest quality materials. 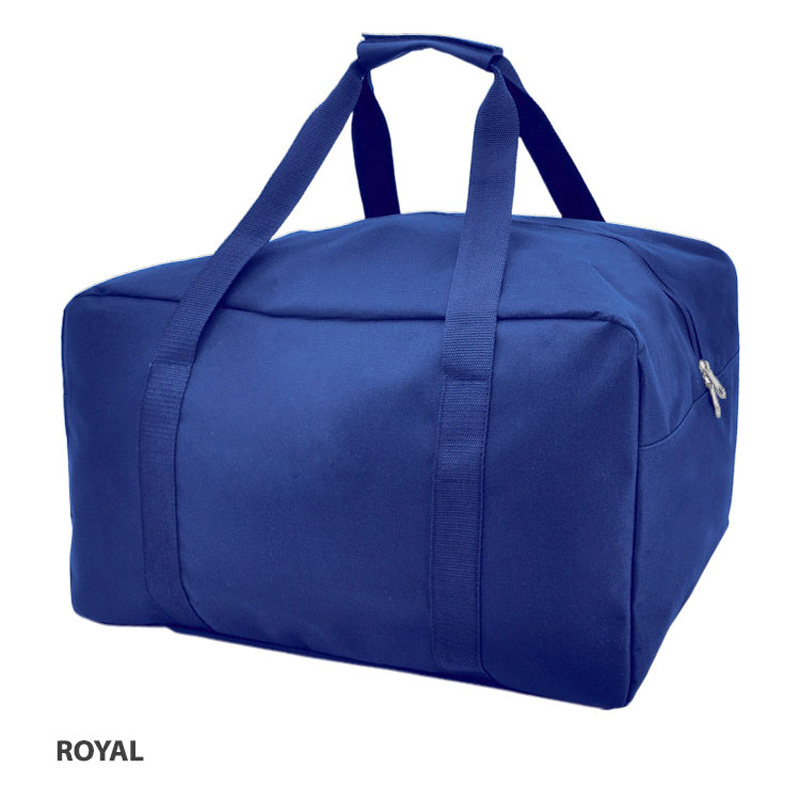 We have canvas, cotton, nylon, PVC and polyester varieties to name a few. 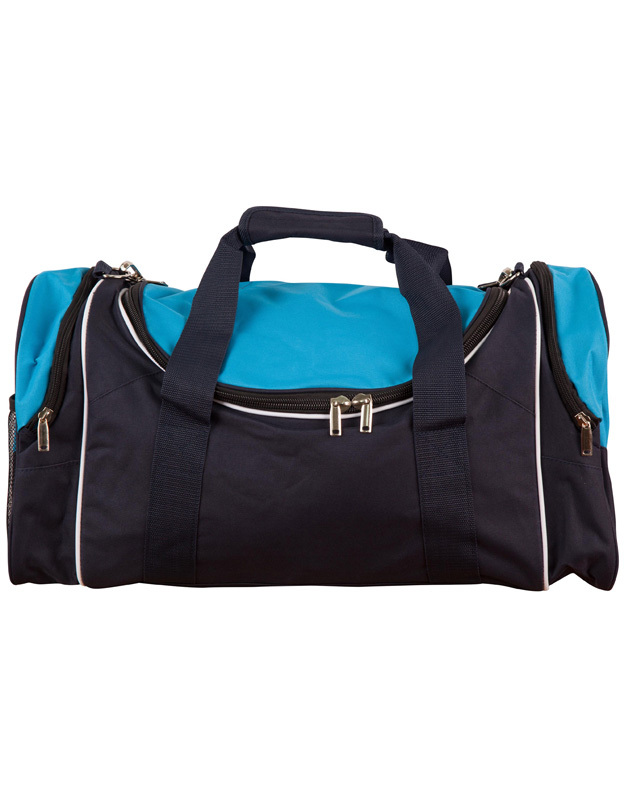 Personalised sports bags can also be used to get your business name out in the public eye – emblazon the side with your corporate logo and/or marketing message and let the bag do the rest. 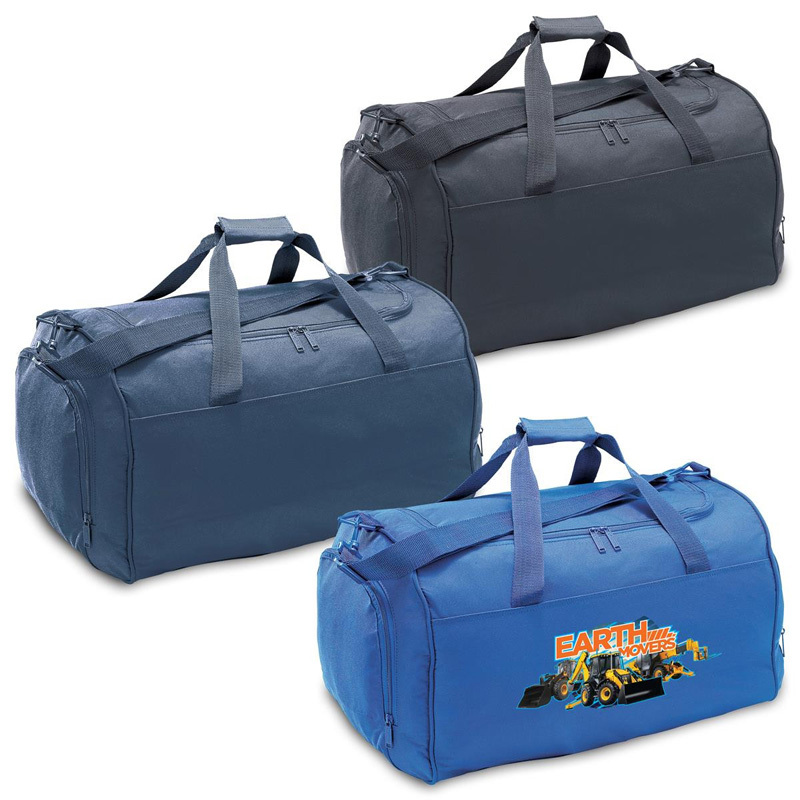 This can be achieved with either printing or embroidery – the choice is yours.